True mustard lovers know that February 18, is even more special than that other February holiday with all the red hearts. 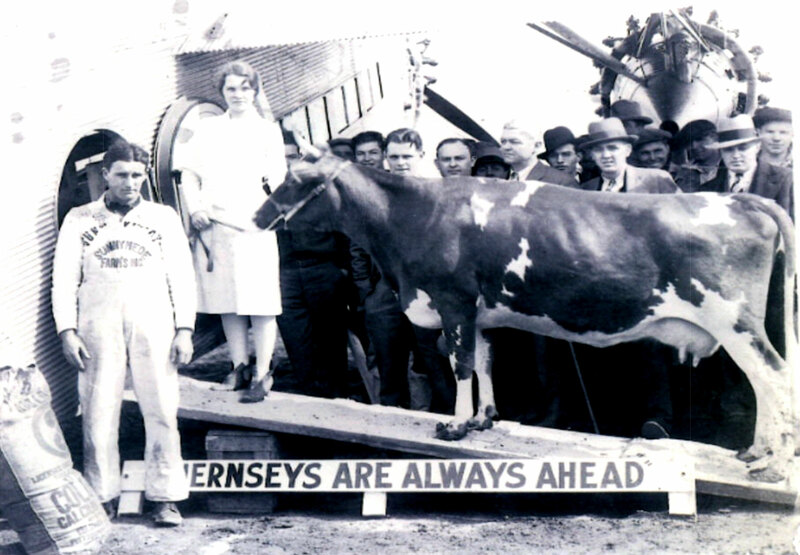 Of course, it’s ELM FARM OLLIE DAY, celebrating the first flight in an airplane by a cow on that date in 1930. To celebrate, send your best bud a Bovine Beauties Gift Box (BVN33) featuring three mustards to honor three famous cows (Ollie, Mrs. O’Leary’s Cow, and the Cow That Jumped Over the Moon). Includes a cow spreader, an Elm Farm Ollie greeting card, and a CD recording of Madame Butterfat, the musical story of Elm Farm Ollie. You won’t find this anywhere else. Not that we haven’t tried.